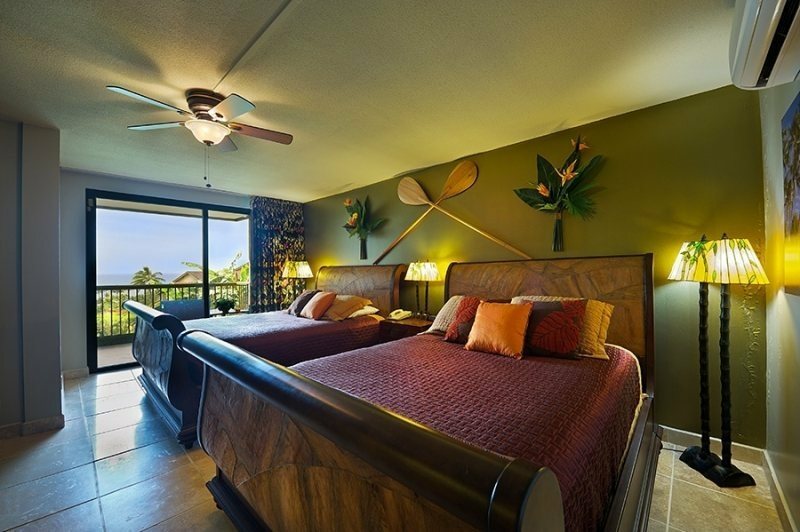 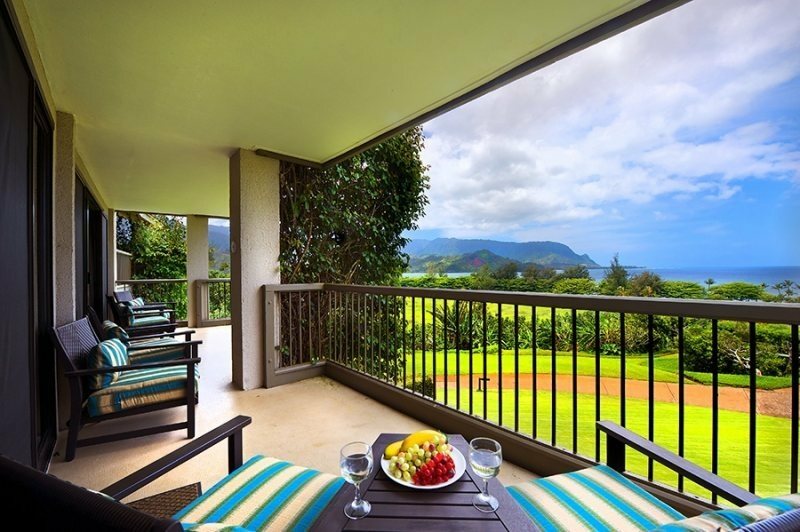 Hanalei Bay Resort 7203 & 4 is a completely remodeled/refurnished (July 2008) 2 bed, 2 bath Kauai vacation rental condo with full kitchen/dining/living Master has king-size bed w/TV/DVD while 2nd bed features 2 queen beds w/TV/DVD and each room features private bath and lanai balcony. 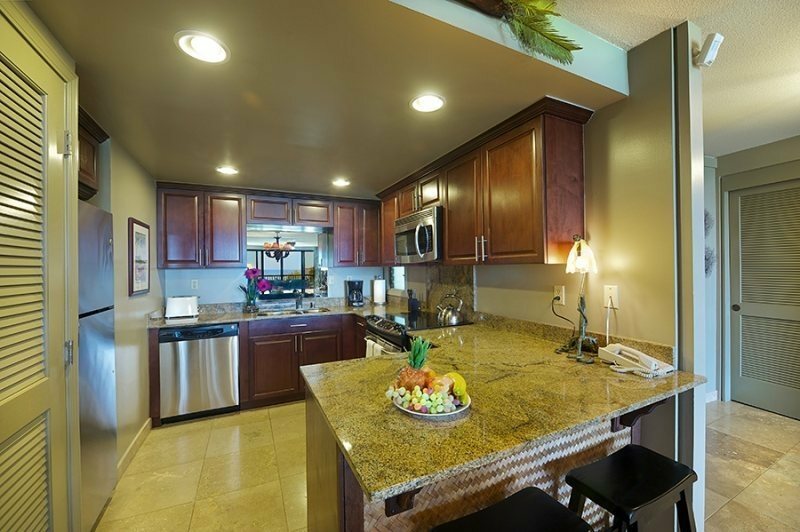 Large living features flat-screen TV/DVD/CD Stereo and comfortable seating. 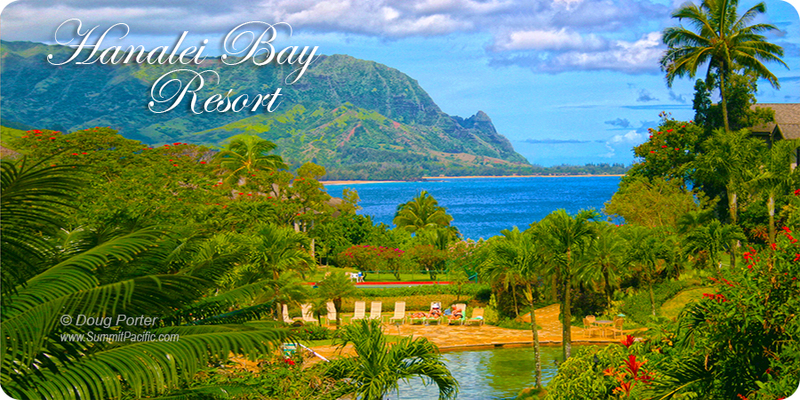 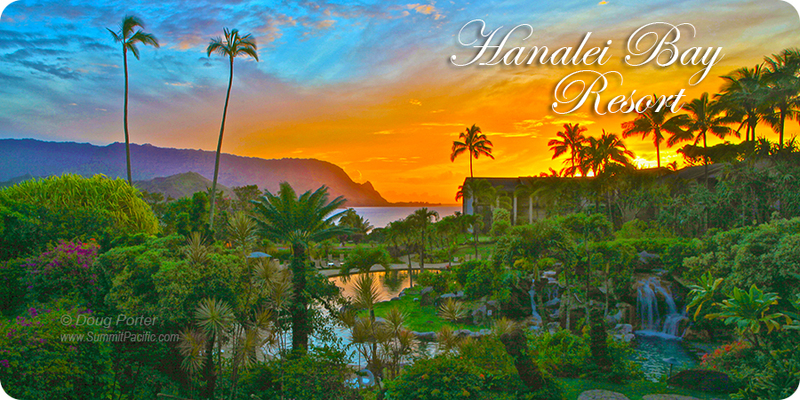 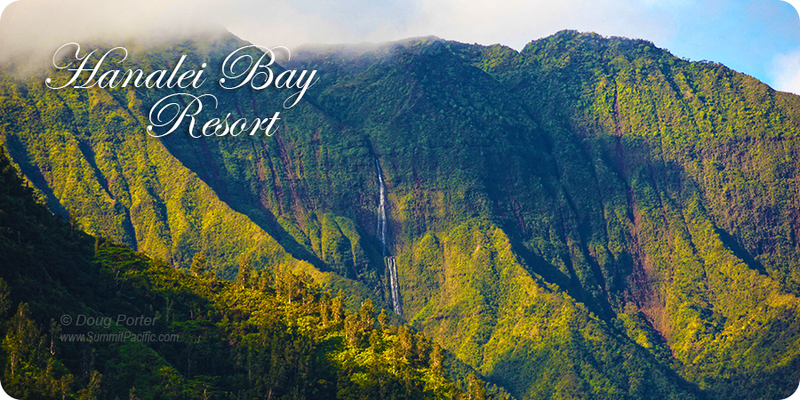 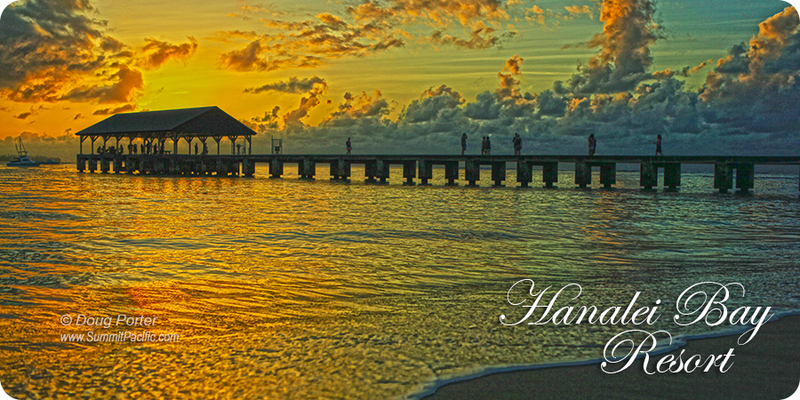 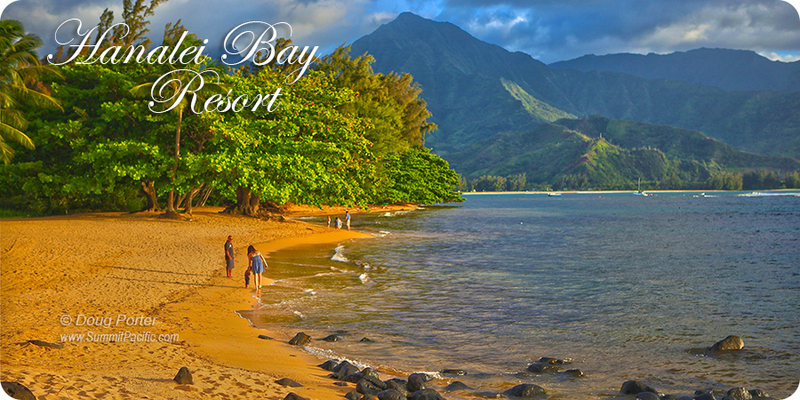 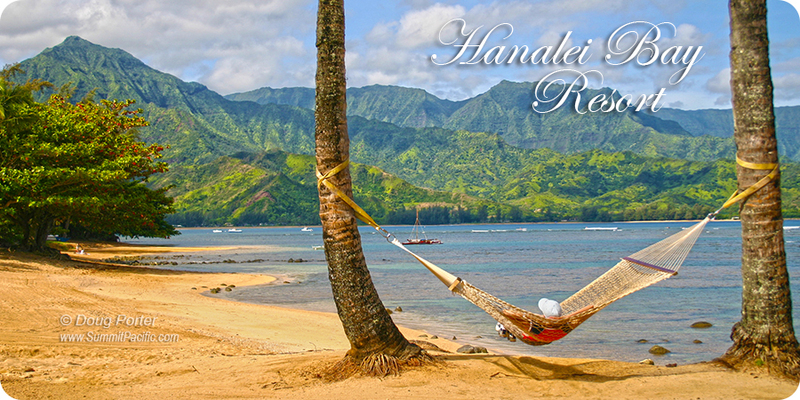 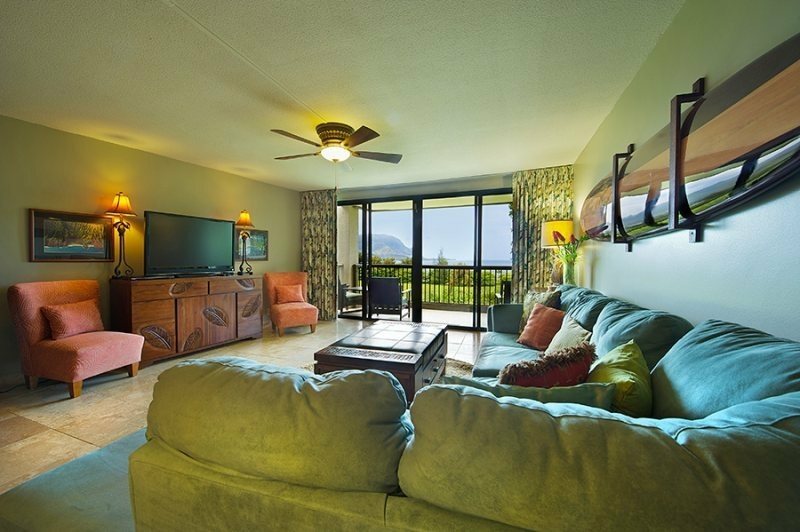 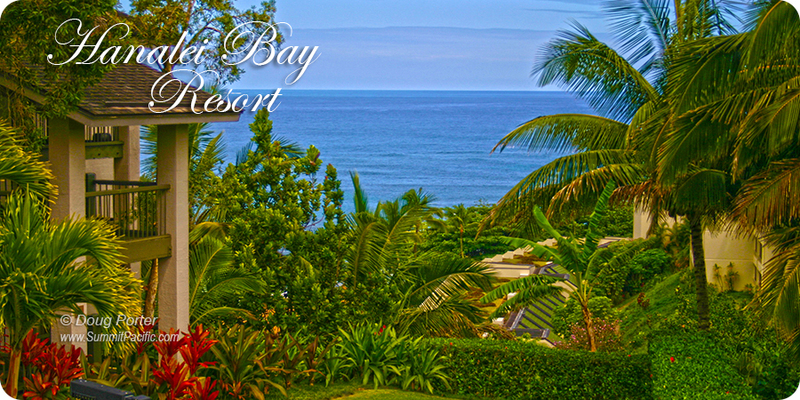 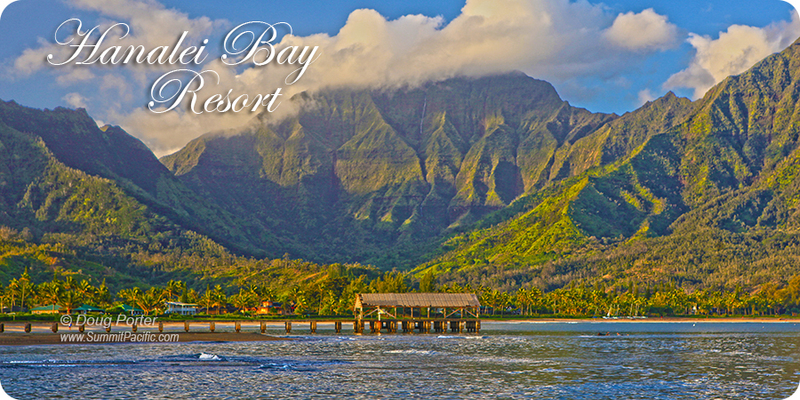 Lanais feature club chairs w/accent tables for dining while enjoying the panoramic views of Hanalei Bay. 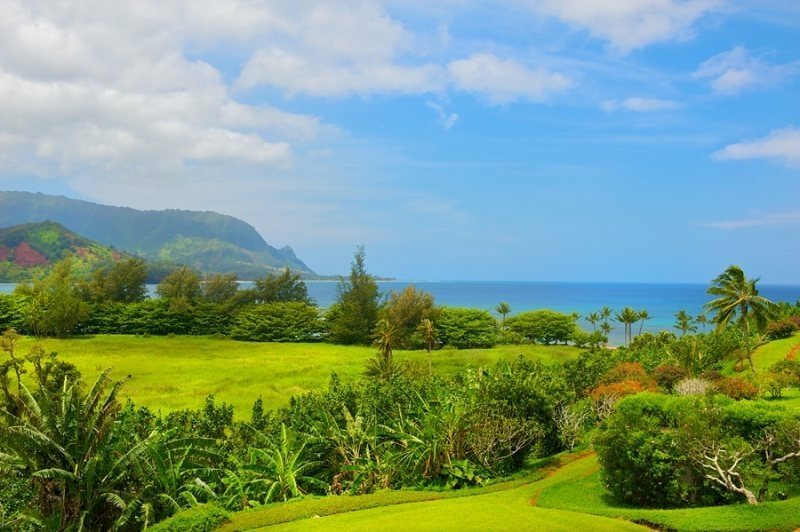 Also provided is snorkel gear for 6, boogie boards, beach mats, beach towels, cooler, umbrella, and lawn chairs for your beach adventures. 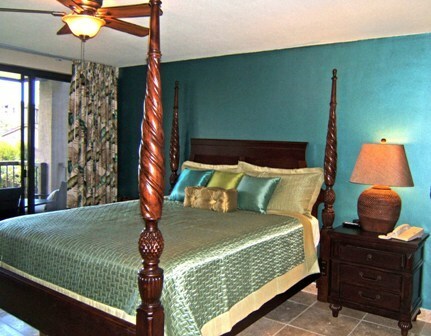 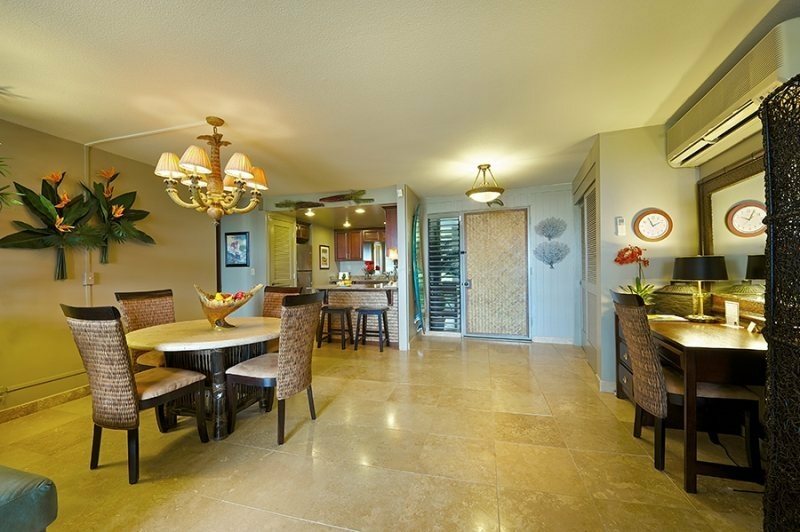 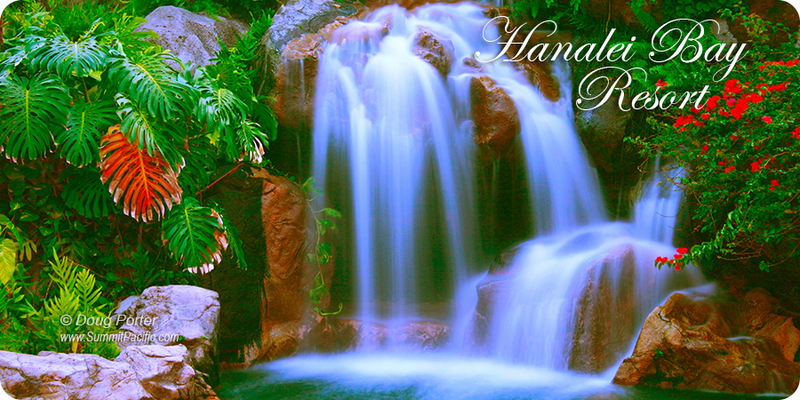 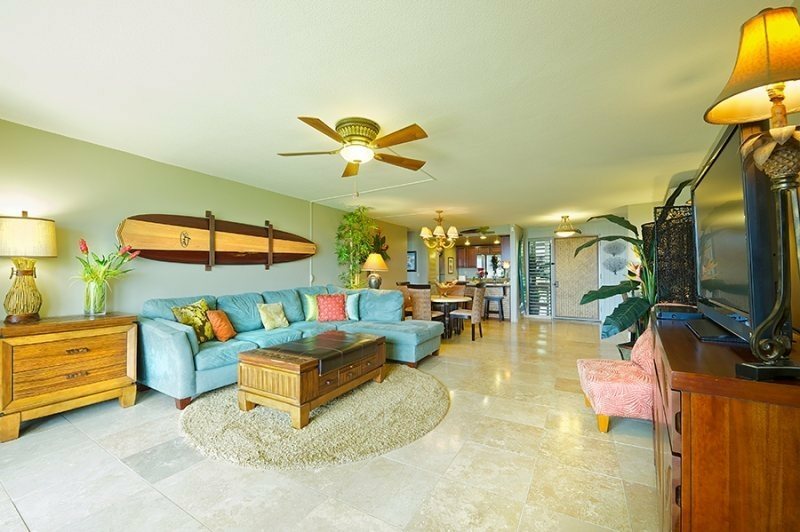 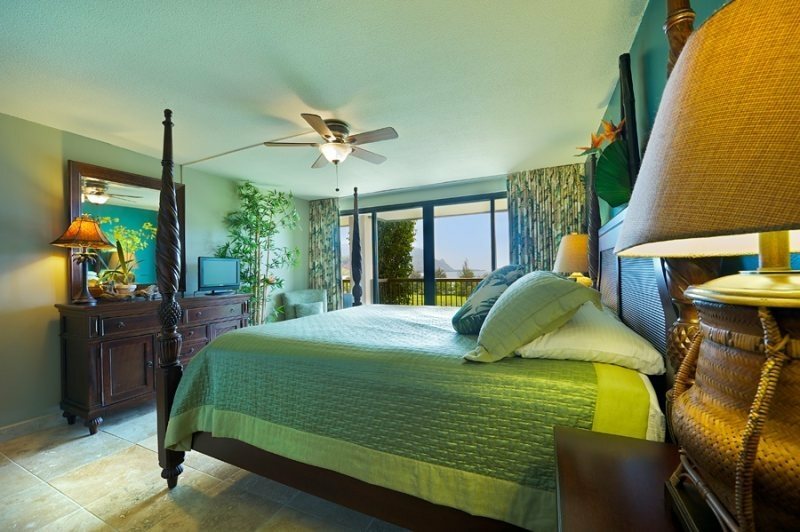 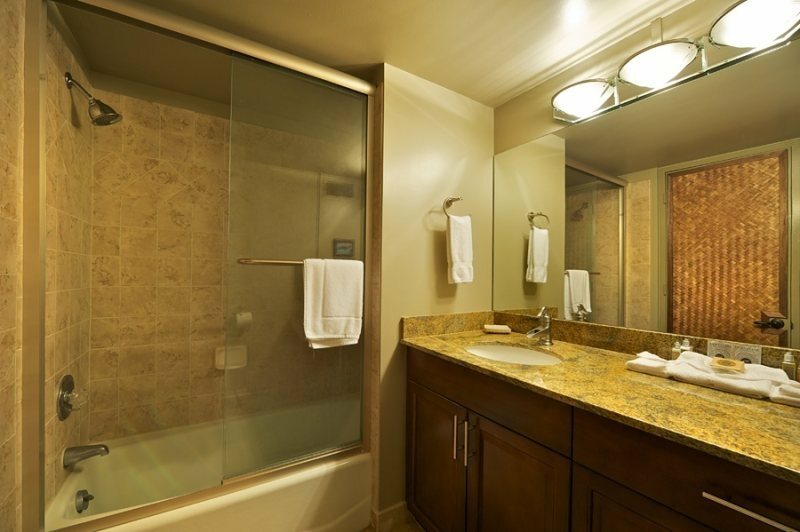 This 2nd floor condo is located at quiet end of resort for more privacy. 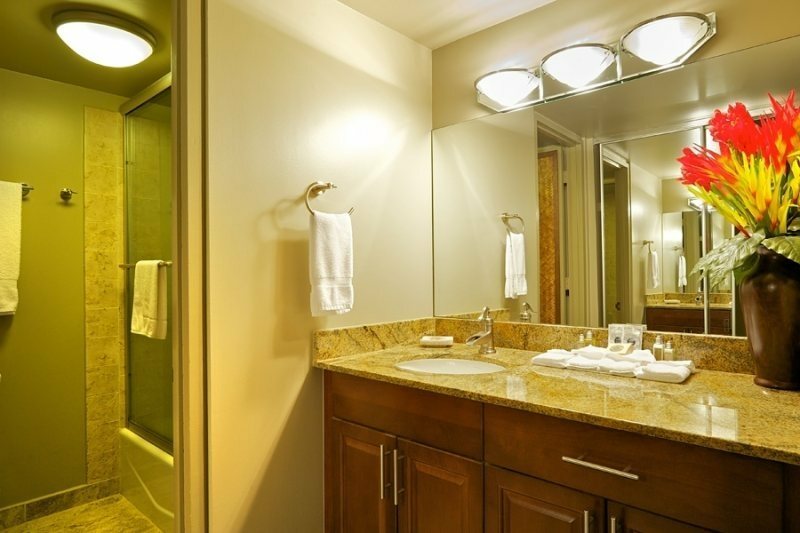 Unit is air conditioned and is non-smoking.